Never mind heston bloomenthal this is quisine bloomenheck! Are you looking for inspiration to brief your event catering partners? Take a look at these wacky concepts! One of the big exhibitions at Dutch Design Week is an "embassy" exploring the future of food, in the face of depleting resources. Here are 10 suggestions for what we might consume in years to come, from saltwater carrots to insect sausages. The Embassy of Food is on show at Ketelhuisplein, one of the main exhibition sites at Dutch Design Week, which runs from 21 to 29 October in Eindhoven. The theme coincides with Good Design for a Bad World, a Dezeen initiative looking at whether design can provides solutions to the world's biggest problems – which was also presented at Dutch Design Week, in a series of panel debates. Cape Town-based Studio H is inviting visitors to sample crops that have been grown with saltwater. The studio worked with Salt Farm Texel – a Dutch farming company that specialises in salt-tolerant crops – to develop the concept, in response to global water shortages. The results include a range of condiments made from carrots, strawberries and tomatoes. 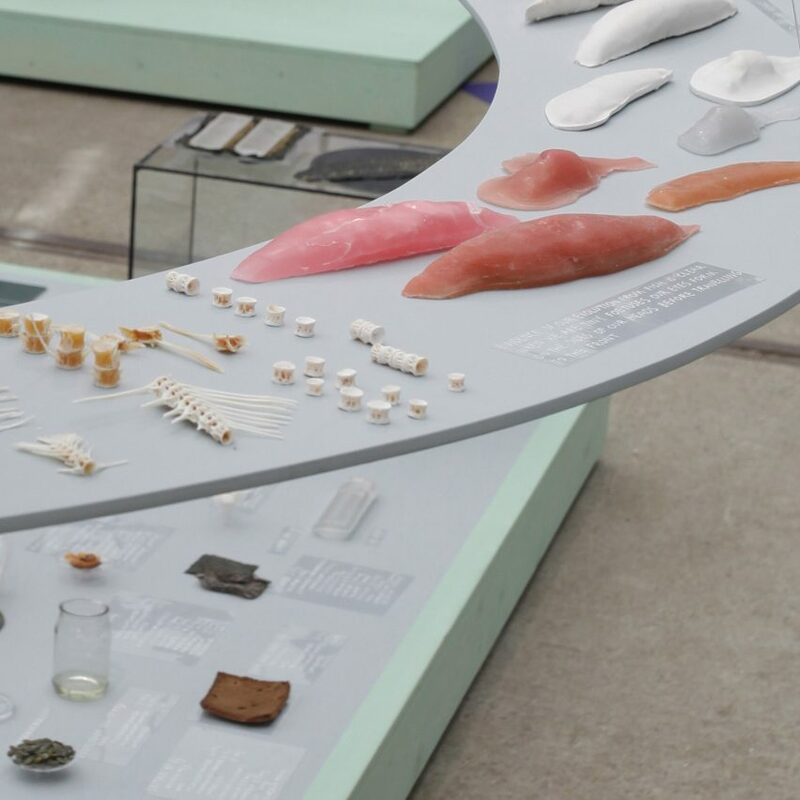 In response to the growing threat of wildlife depletion caused by overfishing, Design Academy Eindhoven students Anna Diljá Sigurðardóttir and Sorrel Madley have developed a concept for a plant-based, synthetic fish product. They claim their vegetarian-friendly fish would provide the same taste and nutrients as the real thing. 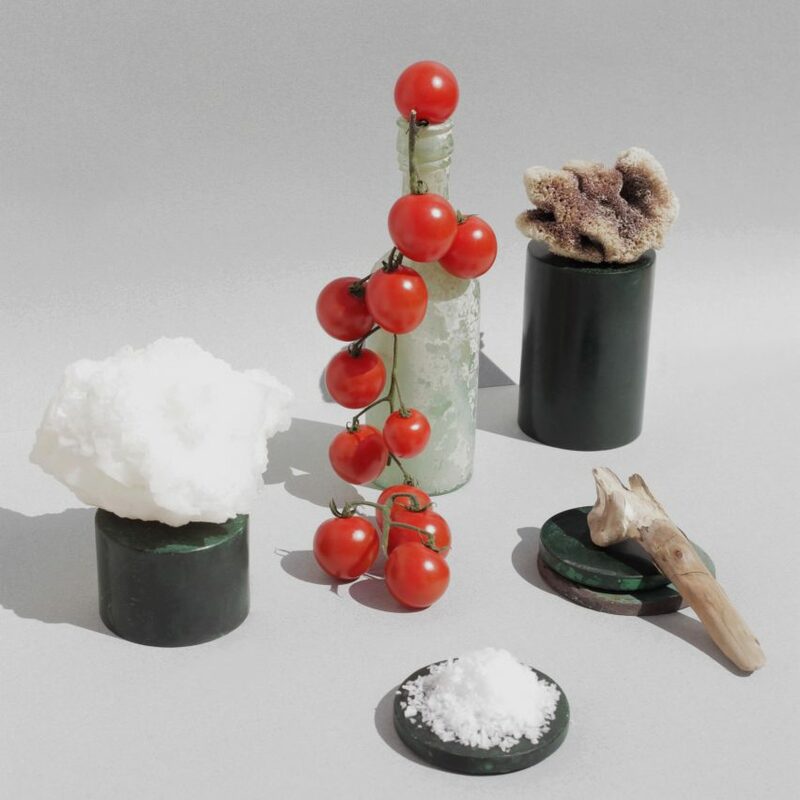 First unveiled in 2014, this project by Royal College of Art graduate Johanna Schmeer offers a synthetic alternative to natural food sources.Her conceptual food products are made from enzyme-enhanced bioplastics, which could offer essential nutrients to humans once traditional sources become depleted. 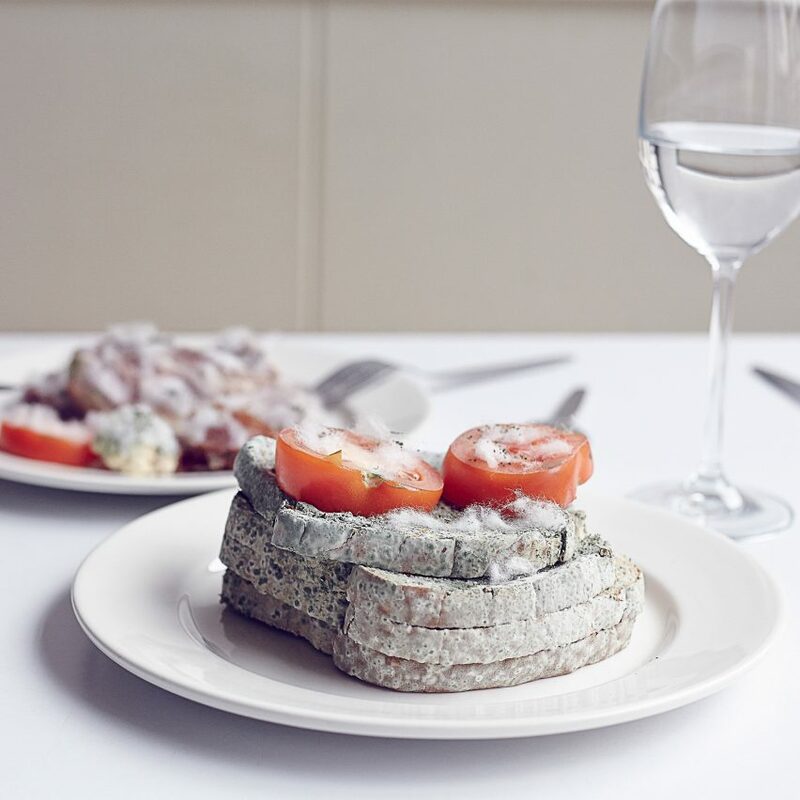 Food design studio Botanic Bites has created a meat-free sausage, using oyster mushroom stems that would otherwise go to waste. 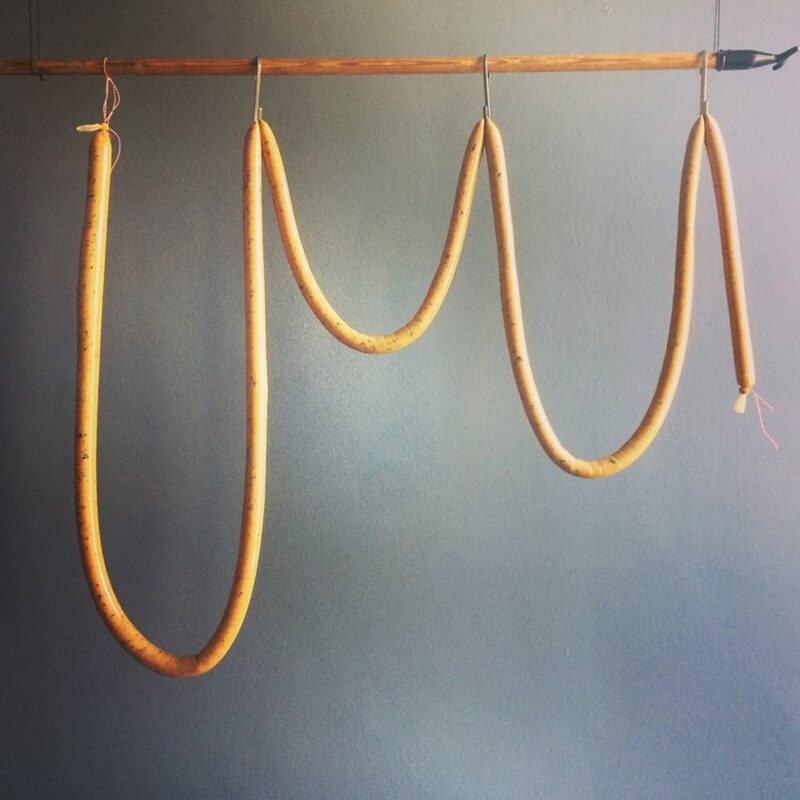 To demonstrate the inefficiency of meat production, the finished product is 15 times the length of a traditional sausage, but was created using the same quantity of resources. Brazilian artist Monica Piloni highlights the issue of supermarket food waste with her Hybris series, which sees fruit transformed into taxidermy. 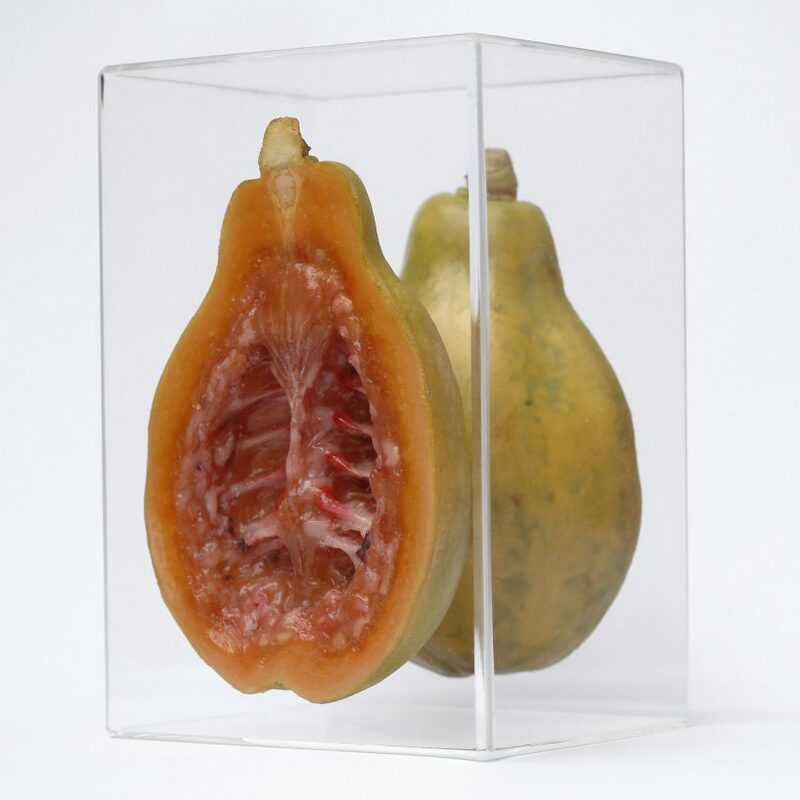 Not intended for consumption, her fruit carcasses are intended to challenge the aesthetic standards people typically expect in their food products. Manufacturing company Byflow is presenting a range of 3D-printed snacks during Dutch Design Week. 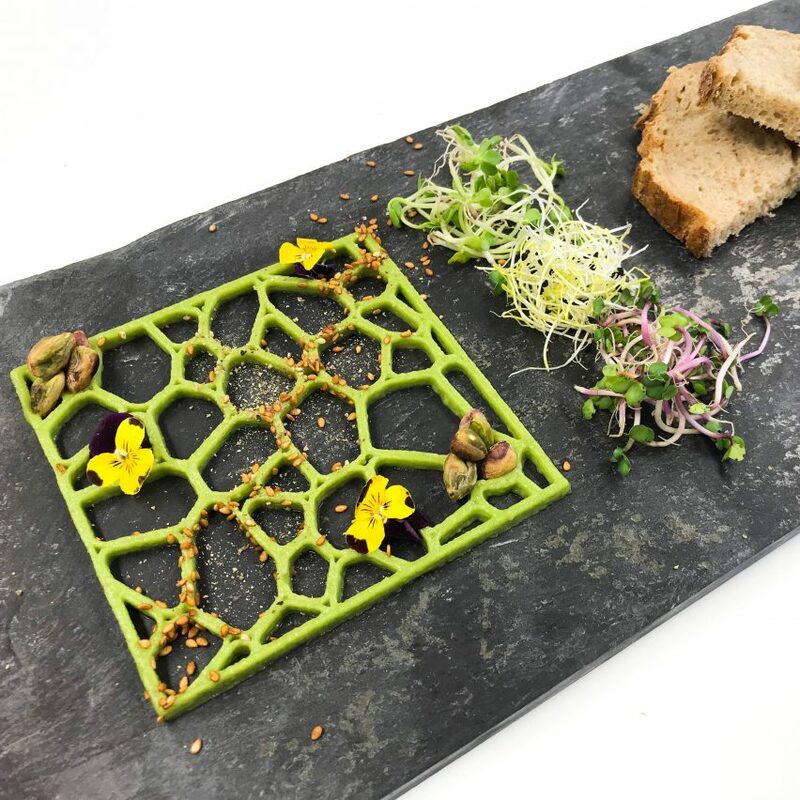 The company is showcasing a portable 3D printer that can prepare a range of meals derived from vegetable, meat and dairy ingredients, helping to reduce food wastage and cater for specific diets. Rather than adapting food to tackle wastage, Taiwan-based designer Paul Gong suggests that synthetic biology be used to modify the human digestive system. Inspired by the eating habits of hyenas, humans would develop a new sense of taste and smell that would enable them to consume and digest rotten food. 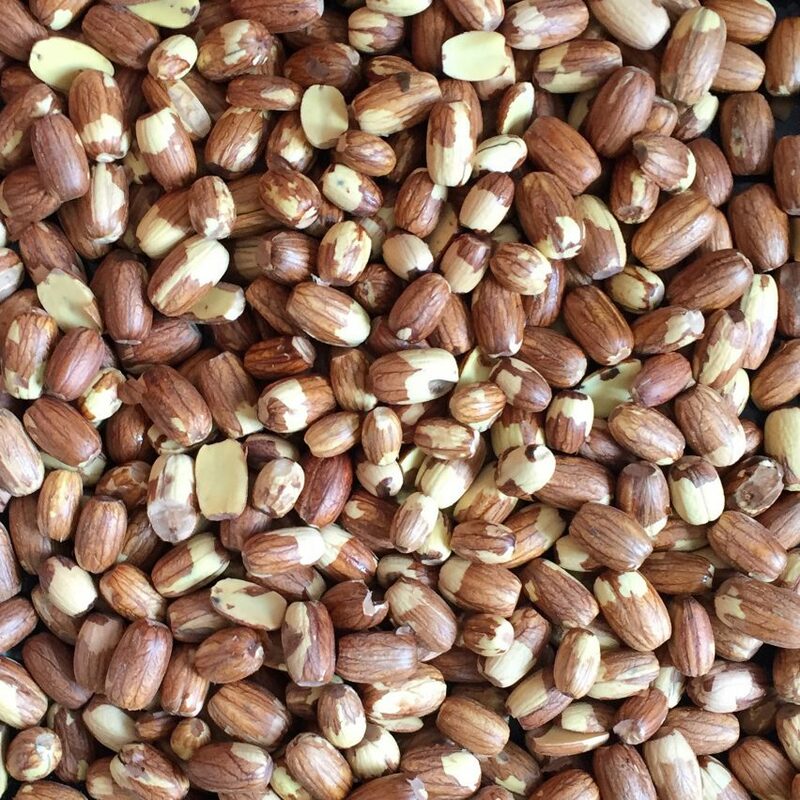 Design Academy Eindhoven student Timm Donke wants to show how acorns can provide a food source for humans, so is in the process of developing cookies made from the oak nuts. To take this idea to the extreme, he has also imagined a future where the entire Netherlands is transformed into a giant forest, with native nut trees providing the majority of human nutrition. 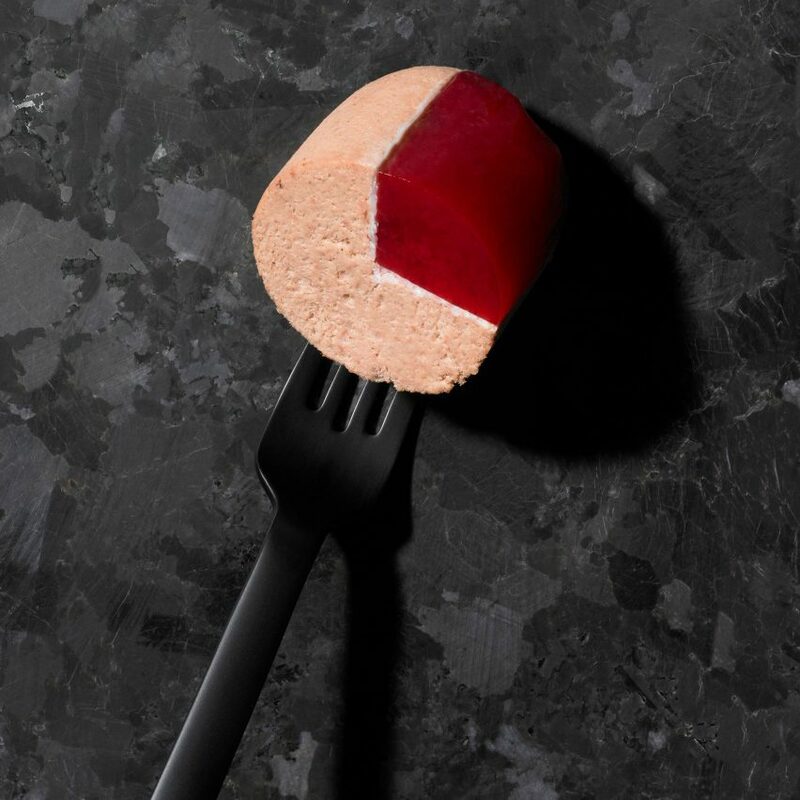 First presented earlier this year in Milan, this project by ÉCAL graduate Carolien Niebling features a range of unusual sausages. Intended to spark discussion around the overconsumption of animal products, she has created sustainable varieties are made from unwanted cuts of meat and insect proteins. These unusually shaped objects may look like food, but they aren't – and that's the point. Called Volumes, they were designed by exhibition curator Marije Vogelzang to combat overeating. By placing them at the centre of a dish, the diner is tricked into believing there is more food in front of them than there actually is, meaning they are more likely to be satisfied.